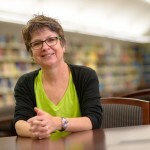 The Section on Professional Responsibility promotes the communication of ideas, interests, and activities among members, provides support for pedagogical and scholarly endeavors, and facilitates dialogue on matters of interest in the teaching and improvement of the law relating to the legal profession and issues of professional responsibility. 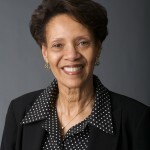 The Section on Women in Legal Education provides information to its members concerning the integration of women and women’s concerns into the legal profession and the law, promotes the communication of ideas, interests, and activities among members of the Section, and makes recommendations on matters concerning the administration of law schools and on the status of women in legal education. 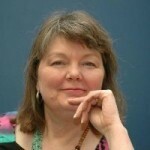 AALS is pleased to welcome back Ginger Patterson and recently sat down with her to discuss her prior experiences with the association and her vision for the position today. 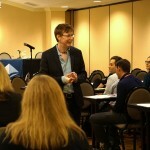 New teachers in the legal academy gathered in early June in Washington, D.C. for the AALS Workshop for New Law School Teachers. 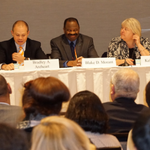 This annual three-day event is designed to integrate new faculty into the legal education community. 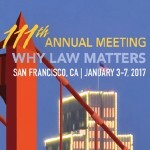 The AALS Annual Meeting has undergone several recent programming changes, including multiple new session types and program features. There are many sessions focusing on the issues and concerns shared by new law faculty. 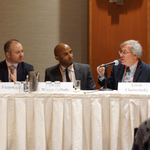 Several AALS sections have planned special programs that bring together junior and senior law faculty to help newer faculty develop their scholarship and teaching skills and connect with their more experienced colleagues. AALS seeks proposals and papers for the AALS President’s Program on Diversity, Hot Topic sessions and AALS Section programming. 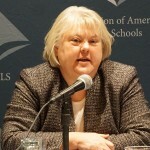 Legal scholarship is a core value of the Association of American Law Schools. The following organizations host or list research grants and awards for law faculty. 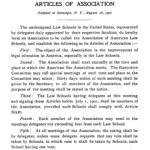 This summer marks the 116th anniversary of the Association of American Law Schools which was established on August 28, 1900 at a meeting in Saratoga, New York.